How to create a comprehension test? With ProProfs you can create interactive quizzes, using different kinds of question types such as true or false, fill in the blanks, multiple choice and many more. You can use a comprehension question type to test the reading and comprehension skills of learners. Step 1. 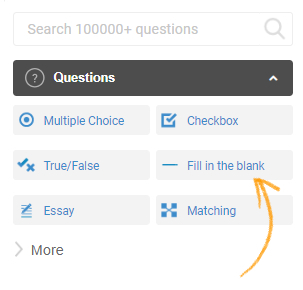 Navigate to the quiz editor and add the questions using different question types such as multiple choice, checkbox etc. You have to add questions before adding the comprehension passage. Step 2. 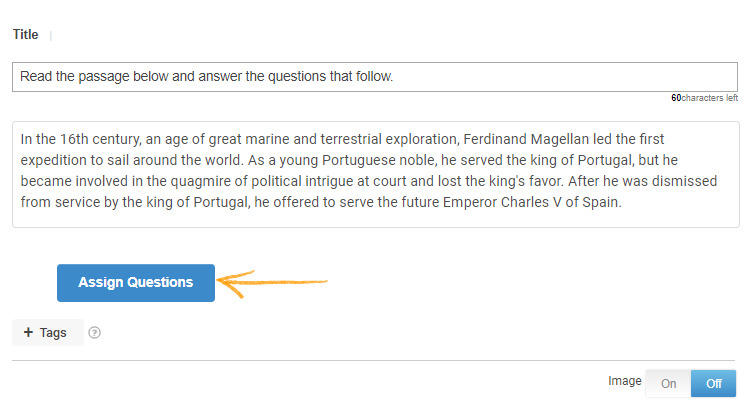 When you have added all the required questions, select the "Comprehension" question type. Step 3. 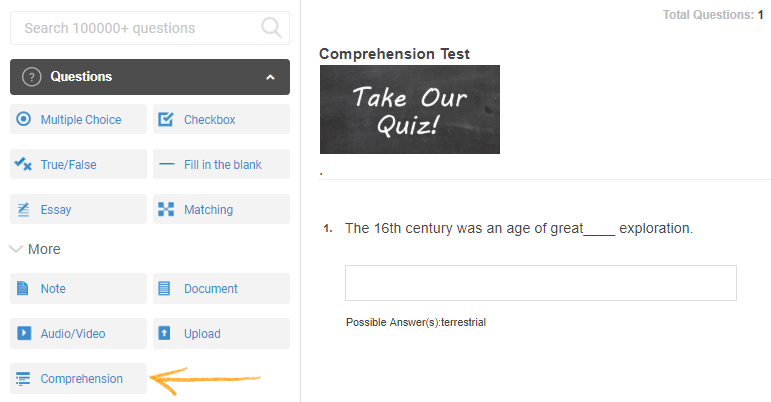 Add the comprehension passage and click "Assign Questions." Step 4. Select all questions or certain questions that you want to assign to the passage. Click on "Assign" and you're done.